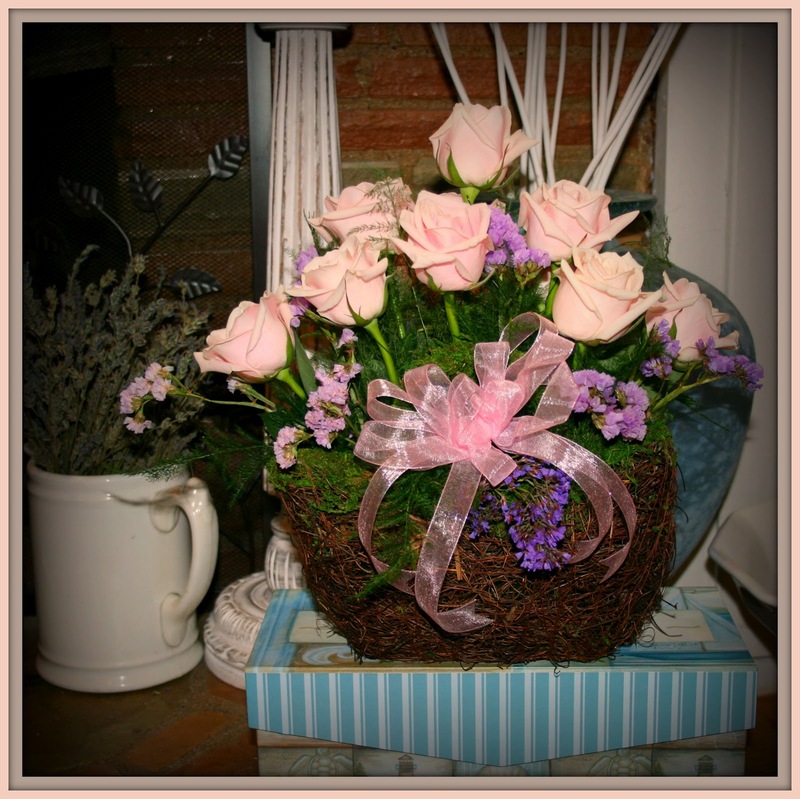 These roses have such a beautiful antique tone to them and a beautiful shape. 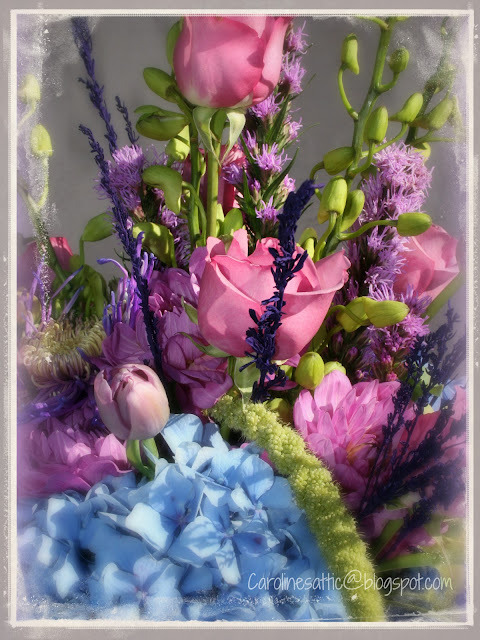 We love Eufloria roses. 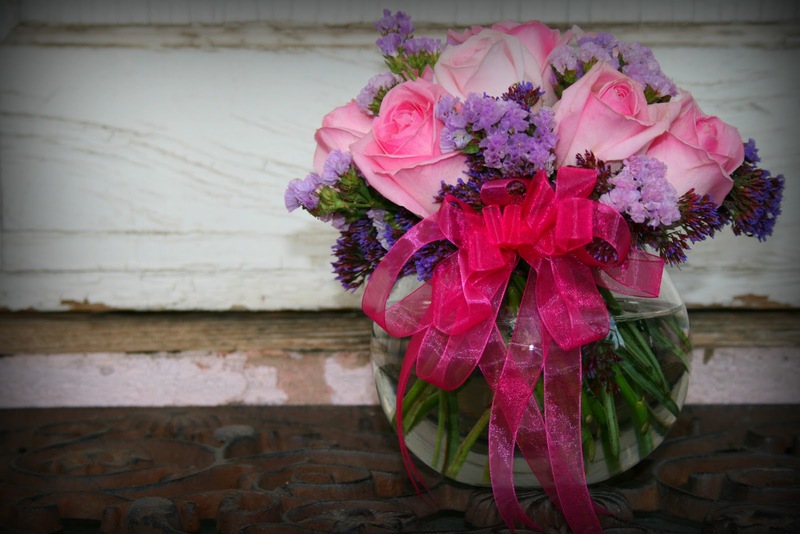 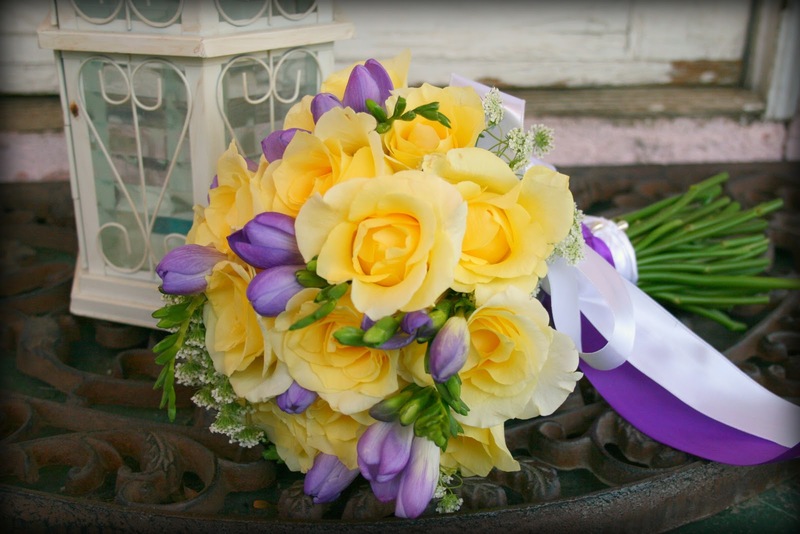 Pretty soft pink roses and purple everlasting make this sweet arrangement . Bubble bowl arrangements like this can be used as table center pieces and come in an array of sizes. Whats prettier than a garden basket overflowing with all that the season has to offer. 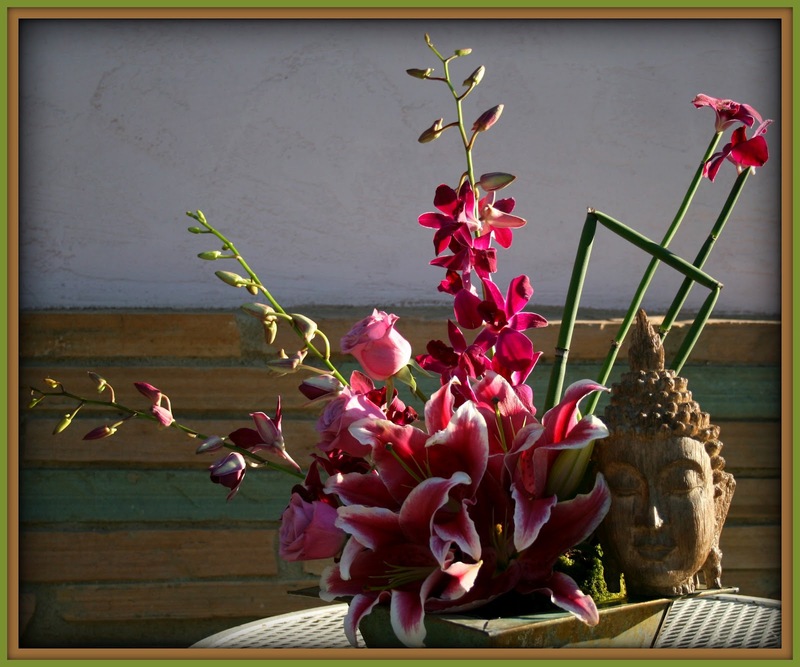 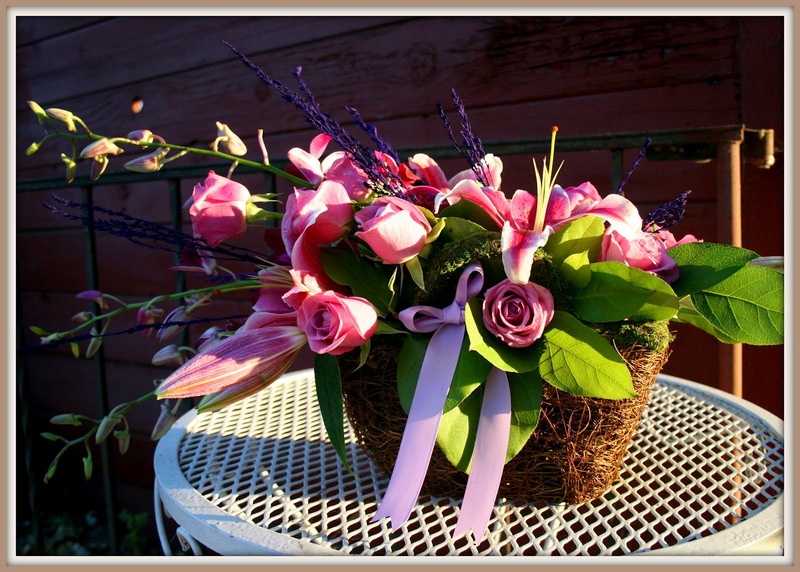 This moss tipped basket is filled with cool water roses, stargazer lilies and purple dendrobium. 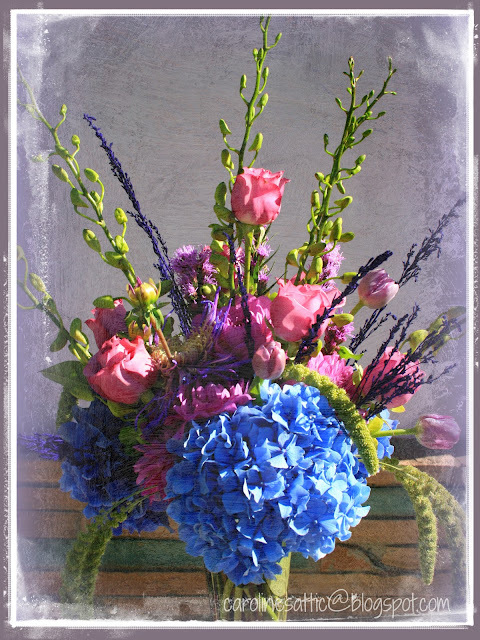 With the addition of purple sage its fragrant and beautiful. 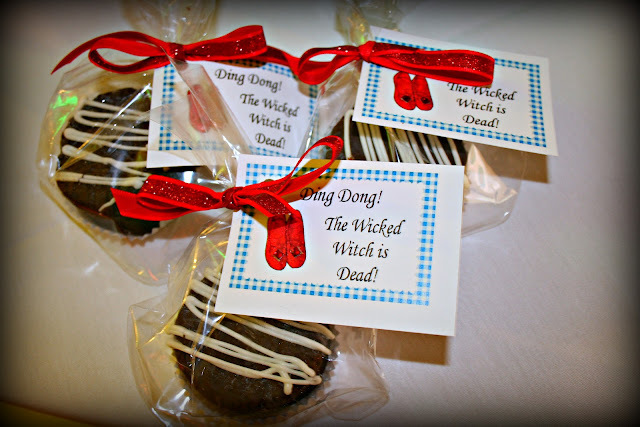 I had the opportunity to transport guest over the rainbow with our latest event. 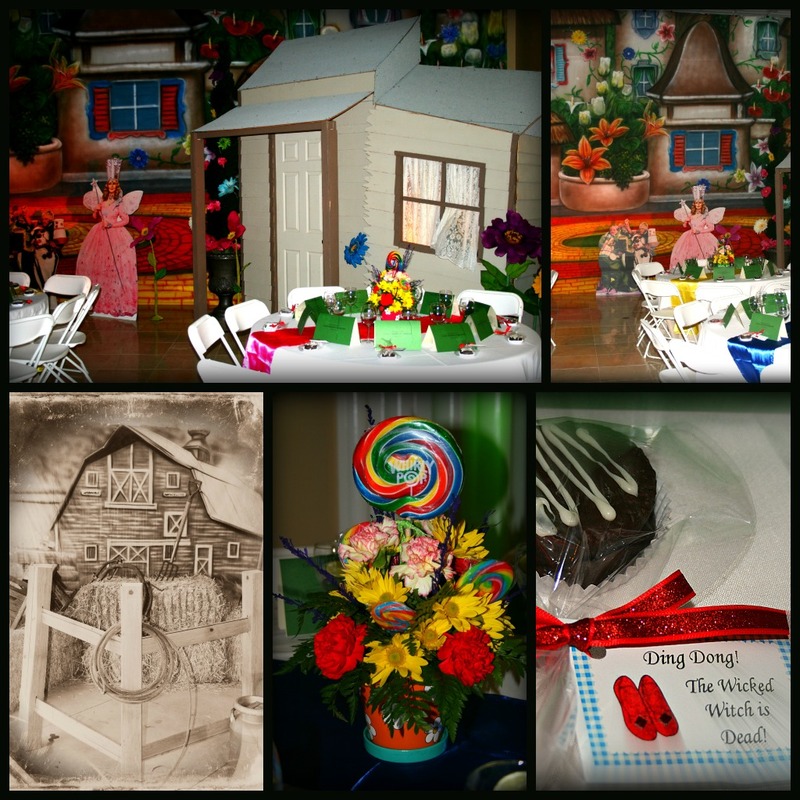 This awards event was fun and Whimiscal complete with Dorothy's house and a cast of characters. Special touches like a custom built Dorothy's house, and a photo-op area where pictures were taken in sepia tones to resemble the begining of this classic movie had guest feeling like they were off to see the wizard. 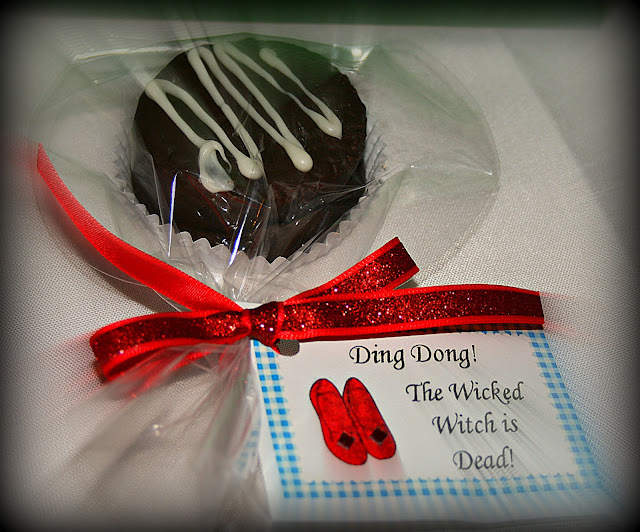 Ding Dongs were dressed up with a drizzle of white chocolate and cute little tags proclaiming "Ding Dong The Wicked Witch is Dead!" These cute little tags had red rhinestones on the toes of the ruby slippers. 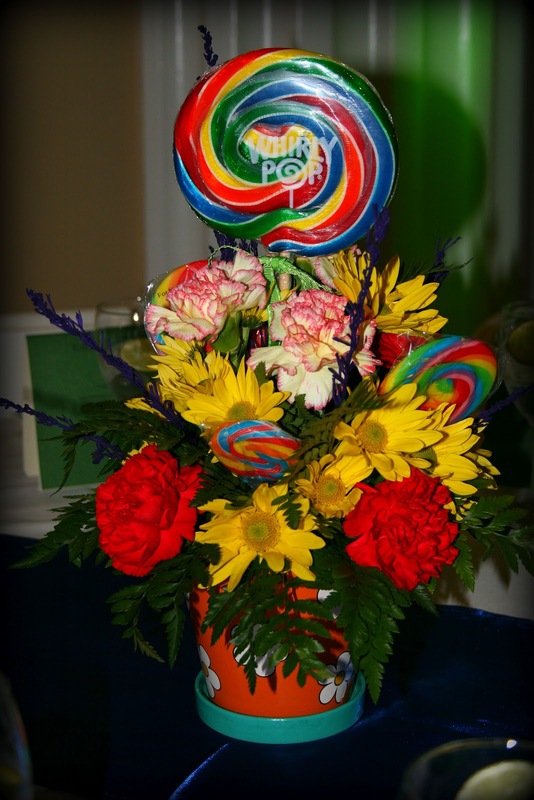 Lolly Pop Arrangements just what you would expect for a celebration in Munchkin land. 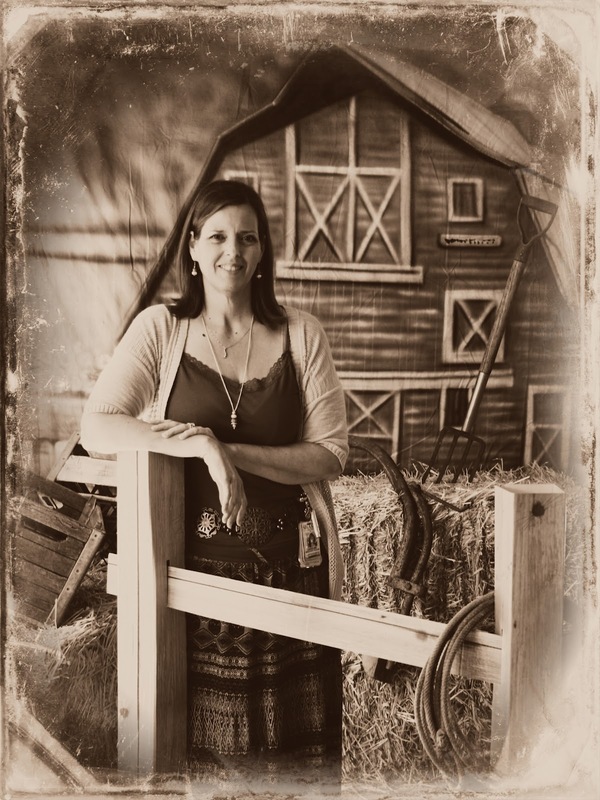 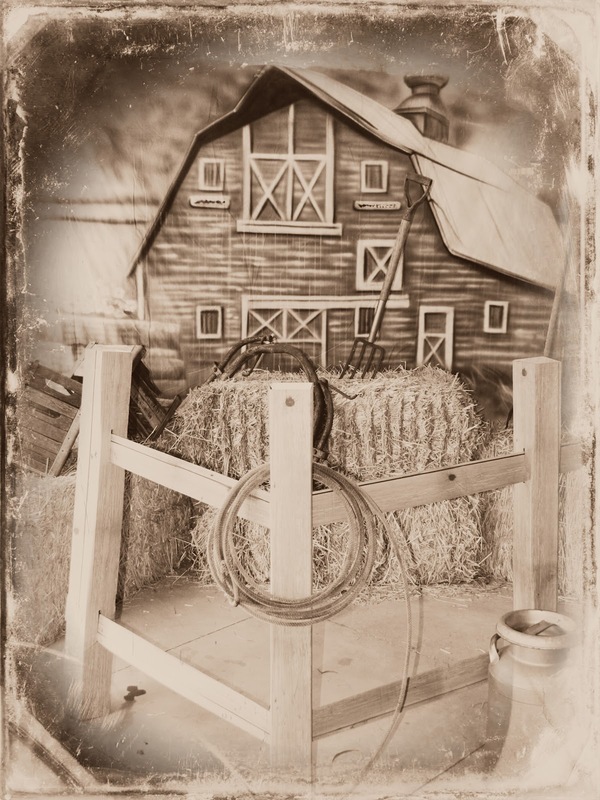 This photo area was created using a 10'x10' painted backdrop, staw bales, assorted farm tools and a milk can to help add dimension to the photos. 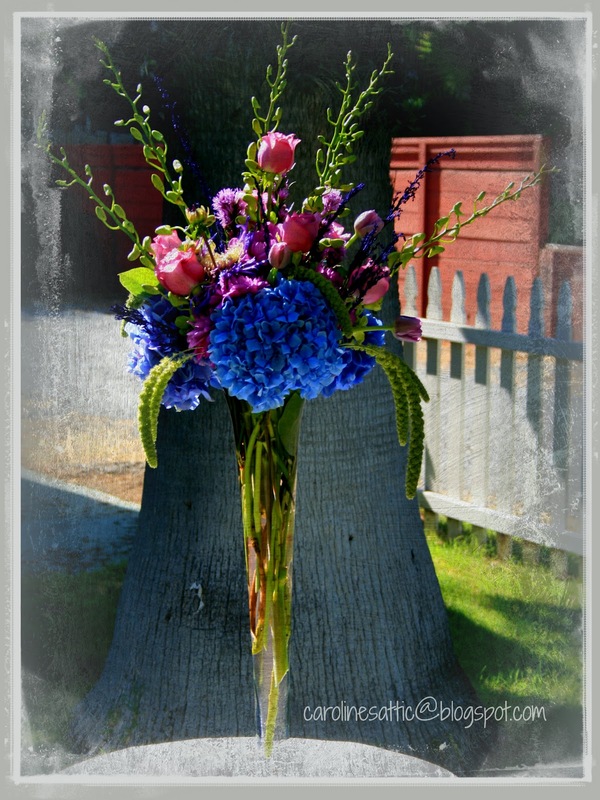 Love the peacock inspired colors of this arrangement. The bright blues and deep purples are accented by green dendrobiums and green millet. 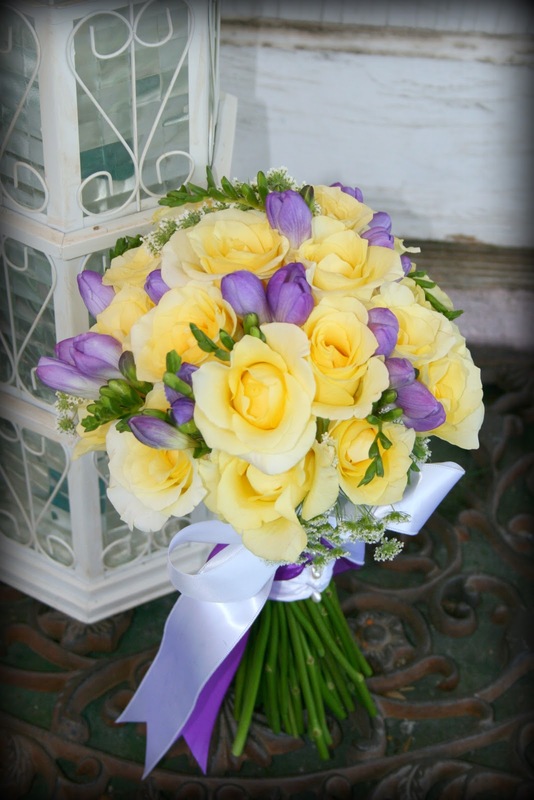 Sunlight plays beautifully off the different textures of this arrangement making it a beautiful choice for an outdoor event or wedding.